Medieval Latin Christianity harbored at its core a paradox in terms of the presence of the sacred in the world. On the one hand, the natural world and all it contains were God’s creation; in this sense divinity inhered within. On the other hand, specific locations were constituted as nodes of concentrated sanctity, primarily through human activities that summoned, witnessed, or were abetted by the divine. Processes of Christianization are typically understood through this latter anthropological lens: the arrival of holy persons, the teaching of Christian history and principles, the construction and embellishment of churches and related structures. As recent research in history, literature, and art history has shown, ecological considerations were also very much present in representational strategies, sites, and materials. This talk explores the exchange between humans and nature in the sanctification of the Italian peninsula using as a heuristic the miracles presented in the Dialogues of Pope Gregory I (d. 604), one of the most widely distributed texts of the early Middle Ages. The talk highlights the ways in which this text harbors traces of an ecological understanding of sanctity and examines the translation of that understanding into the representational art of medieval Italy, primarily wall paintings, manuscript illuminations, and architectural sculpture. 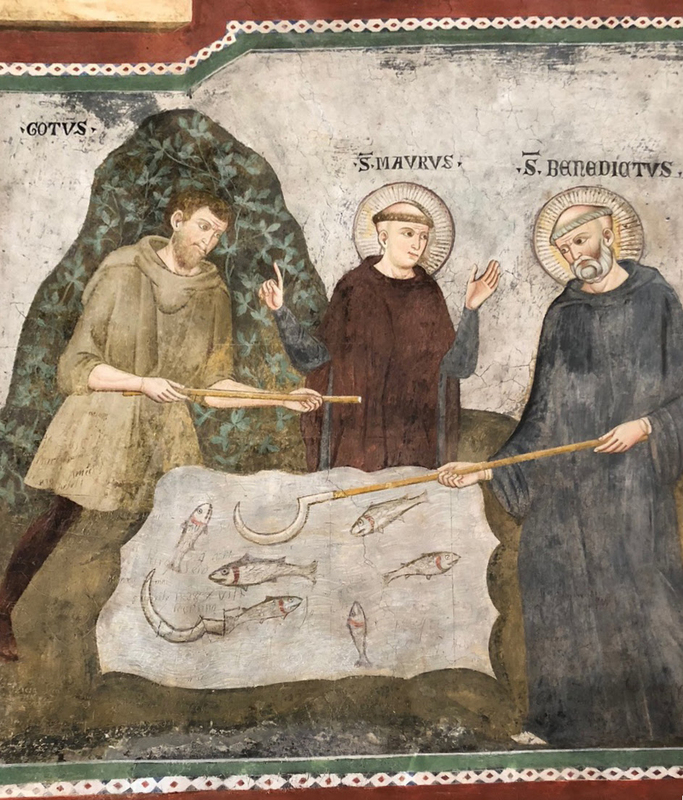 The talk centers around two case studies that themselves express this tension: the life of Saint Benedict and miracles involving water and fish.